Sophomore guard Will Barton announced what most Tiger fans expected Thursday, that he'll forgo his final two seasons of college eligibility and enter the 2012 NBA draft. Barton led Conference USA in scoring this season (his 631 points are the 10th-most for a single season in Memphis history) and became the fourth Tiger to earn C-USA Player of the Year honors. * Set single-season scoring mark at Memphis (762 points) as a freshman in 2001-02. Led Tigers to NIT championship. * Selected by Cleveland with 6th pick in 2002 draft. * Played in 103 NBA games over four seasons (with a single-game appearance for Golden State during the 2006-07 season). Averaged 21.4 minutes and 9.4 points per game. 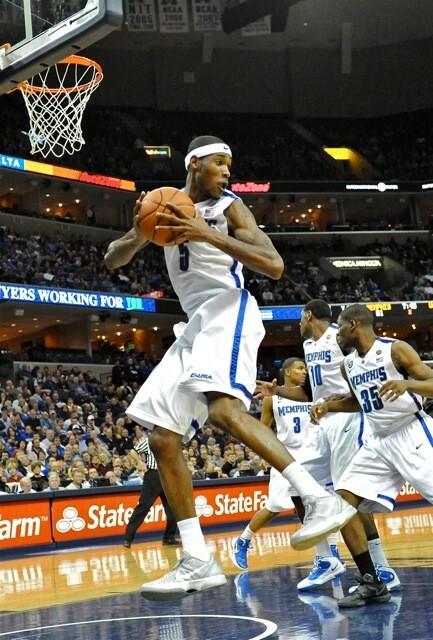 * As a sophomore, led Memphis to 2006 NCAA tournament Elite Eight. First-team All-CUSA. Member of 1,000-point club. * Undrafted. Played in 18 games for Sacramento during 2007-08 season. Averaged 8.1 minutes and 2.9 points. * Third-team All-CUSA as a freshman in 2005-06. Also named MVP of 2006 C-USA tournament. Started for team that reached NCAA tournament Elite Eight. * Selected by Indiana with 17th pick in 2006 draft. * Has played in 215 NBA games (for four teams) over five seasons, including 25 games with New Jersey this season. Has averaged 16.4 minutes and 5.7 points per game. * First-team All-America as a junior in 2007-08. Led Tigers in scoring as sophomore (15.4 points per game) and junior (18.1). 2008 Conference USA Player of the Year. Played for team that reached 2008 NCAA championship game. Ninth in Tiger history with 1,545 points. * Selected by New Jersey in second round (40th pick) of 2008 draft. * Has played in 155 NBA games over three seasons (with the Nets and Milwaukee), averaging 20.6 minutes and 7.7 points per game. Has played this season overseas. * Third-team All-America for Memphis as freshman in 2007-08. Led Tigers to NCAA championship game, where they lost in overtime to Kansas. * College records (including those of his team) have been erased by NCAA for violations involving Rose's qualifying SAT test. * Selected by Chicago with first pick in 2008 draft. * 2008-09 NBA Rookie of the Year. 2010-11 NBA MVP. Has played in 274 games, averaging 36.9 minutes and 21.1 points. * First-team All-CUSA (and C-USA tournament MVP) as freshman in 2008-09. His 632 points are second only to Wagner among Memphis freshmen. Led Tigers to NCAA tournament Sweet 16. * Selected by Sacramento with 4th pick in 2009 draft. * 2009-10 NBA Rookie of the Year. Has played in 174 games, averaging 36.5 minutes and 18.6 points. * Played freshman season at Duke, then one season (2009-10) for Memphis. Led Tigers in scoring (17.9 points per game) and named first-team All-CUSA. * Selected by Portland with 22nd pick in 2010 draft. * Sat out rookie season with injury. Has played in 24 games this season, averaging 6.2 minutes and 3.7 points. Three years into the Josh Pastner era at the University of Memphis and the win totals are healthy and creeping steadily upward: 24 in 2009-10, 25 his second season at the helm, and 26 this season. Back-to-back Conference USA tournament titles and a regular-season crown this winter. So why so many clouds darkening above Tiger Nation? Why the sorrow in some corners, anger in others? Love him or loathe him, John Calipari took the Tiger basketball program to heights an adoring fan base had not seen (or expected). Over his last four seasons in Memphis, Calipari coached the Tigers to 13 wins in the NCAA tournament (counting the five from 2008 since wiped from the books by the governing body). That number, folks, is silly, a run that only the likes of North Carolina, Kansas, and Duke might consider a realistic barometer for a program’s success. But the Cal Standard lingers in these parts. So for Josh Pastner to have three seasons under his belt without a solitary NCAA tournament win . . . well, the clouds are gathering. Those C-USA trophies make good doorstops. Is there reason for concern? Let’s examine the state of Memphis basketball in the context of two Pastner mantras, one of them quite wise, the other not so much. Since Calipari’s arrival before the 2000-01 season, 20-win seasons have come to be a part of the script, the baseline for consideration of what a Tiger team might accomplish. Thus we have Pastner with 75 wins in three seasons and staring down disappointment. It was easy to snicker when, as a first-year coach, Pastner opened one press conference after another by emphasizing, “Winning is hard.” This after beating East Carolina by 20, or Rice by 12. But he saw what so many Tiger faithful had forgotten: it’s much easier to slip from heights than it is to reach them. Last Friday in Columbus, the Tigers ran into a style of play they weren’t capable of handling. Saint Louis played risk-free basketball on both ends, which forced the Tigers to reach desperately — and, too often, individually — for openings through which a run might be started. The Tigers picked up only four assists on 21 made field goals, their lowest such total of the season. (Remarkably, Saint Louis only had seven assists on the same number of converted baskets.) Memphis missed 13 of 15 attempts from behind the three-point arc. Saint Louis made five, including two desperation heaves by Kwamain Mitchell. There’s your difference. It’s the nature of the Big Dance. One slip and your season’s over. Winning . . . is . . . hard. C-USA is a dreadful league. And getting worse. Two of the best teams in the conference this season — Marshall and UCF — were summarily dismissed in the first round . . . of the NIT. Southern Miss somehow maintained a top-20 RPI ranking all season, then got tossed from the Big Dance by Kansas State, a team that finished fifth in the Big 12. I’m guilty — like Pastner — of getting too close to the trees with C-USA, seeing a solid UAB team here, a decent UTEP team there, and calling the league under-rated. Pull back and look at the forest, though, and you see a lot of wilting, rotting brush. Consider this: Since Louisville, Cincinnati, and Marquette departed for the Big East after the 2004-05 season, not a single C-USA team other than Memphis has won an NCAA tournament game. It’s a mind-blowing statistic. 237 opening-round games have been played since the 2006 tournament, and exactly four of them have been won by C-USA teams (all coached by John Calipari). So was the Tigers’ run of 20 wins in 23 games since Christmas over-inflated due to middling competition? A thousand times yes. The case can be made that Memphis was fortunate to be in the top half of the West regional bracket. They beat Belmont. They beat Xavier. With no other wins worthy of flag-waving. All this changes, of course, with the move to the Big East for the 2013-14 season. The harder the grindstone, the sharper the ax. USF lost 13 games this season and destroyed a Pac 12 team (Cal) that went 24-9. Marquette lost seven games but still received a 3 seed and beat a Murray State team that had gone 31-1. The Tigers will likely win their C-USA farewell tour next season. Alas, they’ll likely be softened prey come the 2013 NCAA tournament. There remains much to anticipate over what will be a long off-season for Memphis fans. Best-case scenario, Will Barton and Adonis Thomas return and you have essentially the same team for 2012-13, with Wesley Witherspoon replaced by a McDonald’s All-American, Shaq Goodwin. Worst-case, Barton and Thomas enter the draft and next season is anchored by three junior stars — Joe Jackson, Chris Crawford, and Tarik Black — with Goodwin taking on a larger role and more minutes. The latter scenario, mark this down, will be good enough to win Conference USA. There will be emptiness for Tiger fans when this weekend’s Sweet 16 is played. Four straight appearances in the tournament’s second weekend are still dancing prominently in this community’s collective memory. If it’s really about the journey, though, faith should be retained. Memphis will get back. And the taste will be that much sweeter. This one will sting for a while. A Memphis team that entered the 2011-12 season with talk of a top-10 ranking and a deep NCAA tournament run walked off the floor in Columbus, Ohio, losers — for the second year in a row — in its opening game of the Big Dance. The loss finishes the Tigers' season with a record of 26-9 and a drought of three years without a win in college basketball's premier event. Billiken guard Kwamain Mitchell wasn't quite Bill Walton, vintage 1973, but he did hit nine of 14 shots, including four of seven from three-point country (including a desperation bank-shot as time expired in the first half to tie the game). Mitchell finished with a game-high 22 points. He was complemented by Brian Conklin with 16 (including 10 of 11 from the free-throw line). The build-up to the game focused on the contrasting styles: Memphis as up-tempo, Saint Louis preferring a halfcourt affair. Among the nation's stingiest defenses, Saint Louis held the Tigers to their lowest point total of the season. A U of M team that shot just under 50 percent over 34 games was held to 39 percent tonight. Despite the misfiring, Memphis led by eight points (37-29) with 11:40 to play in the game, only to see the Billikens make a 14-2 run over a six-minute stretch to seize control. 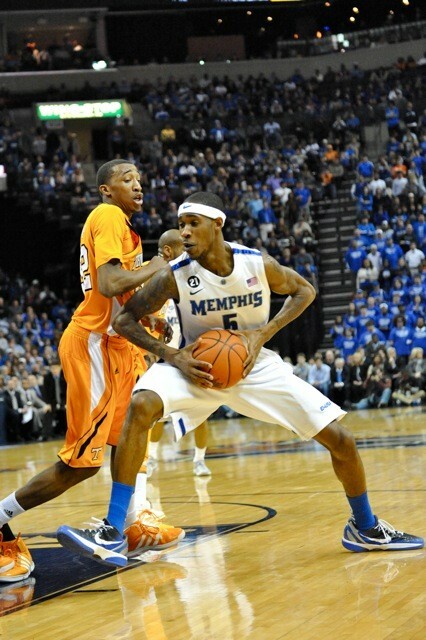 Will Barton scored 16 points to lead the Tigers. (The sophomore guard finished the season with 631 points, the 10th-most for a season in Memphis history.) But Chris Crawford and Joe Jackson combined to make only four of 18 shots. Worse still, foul trouble once again reduced Tiger center Tarik Black to a spectator. He had four points and four rebounds in 19 minutes on the floor. The Tigers missed 13 of the 15 shots they took from behind the three-point line. Saint Louis coach Rick Majerus — 30 years older than Tiger coach Josh Pastner — improves to 11-1 in opening games of the NCAA tournament. The win is the first for the Billikens in the tournament since 1998. It’s come to feel as customary in March as a green tie on the 17th. Another Conference USA basketball tournament in the books, another Memphis Tiger team cutting down the nets. With their seventh straight blowout victory, the Tigers earned their sixth C-USA tourney title in seven seasons today at FedExForum. The win gives the Tigers, now 26-8, an automatic berth in the NCAA tournament, the field for which will be announced Sunday evening. Sophomore point guard Joe Jackson led the Tigers with 19 points and became the first player to win tournament MVP honors two years in a row. Two sophomore teammates — Will Barton and Tarik Black — joined Jackson on the all-tournament team, along with Marshall’s DeAndre Kane and Dennis Tinnon. After sub par games in the quarterfinals and semifinals, Barton picked up his 11th double-double of the season against the Thundering Herd, finishing with 18 points and a game-high 13 rebounds. 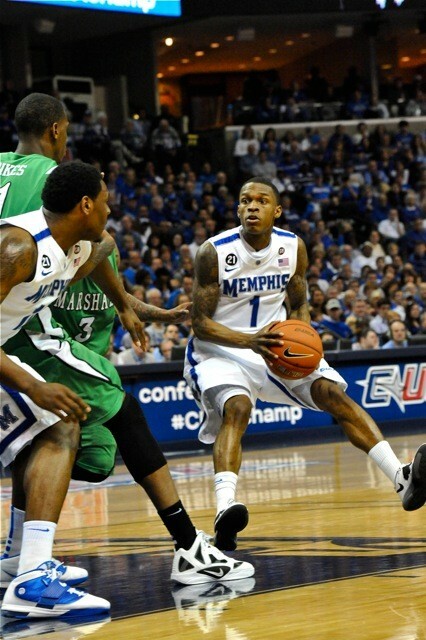 (Tiger coach Josh Pastner called Barton the “best guard rebounder in the country” during his postgame press conference.) Chris Crawford — yet another sophomore standout for the Tigers — added 10 points and seven assists, while senior Wesley Witherspoon scored 11 points in his final college game in Memphis. With Tarik Black limited to 13 minutes by foul trouble and a bruised forearm — suffered when he dove into the Marshall bench to save a loose ball — Ferrakohn Hall stepped up and made all five of his field-goal attempts for 10 points, a new high for the junior forward as a Tiger. Playing their fourth game in as many days, the Thundering Herd kept things tight early, despite Memphis hitting nine of its first 12 shots. But the Tigers reeled off a 17-4 run over seven minutes of the first half, turning an 18-15 lead into a comfortable 16-point cushion. Marshall closed within 13 (52-39) seven minutes into the second half, but the Tigers answered with key three-pointers by Crawford and Antonio Barton. With seven minutes to play, Memphis led by 19, the outcome no longer in doubt. The win extends the Tigers’ season-high streak to seven games, a stretch in which they’ve beaten C-USA competition by an average of 22.7 points. 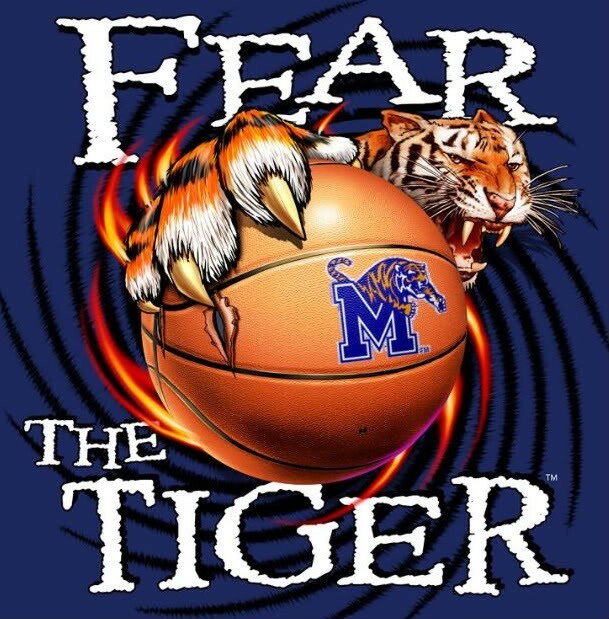 Going back to Christmas — when the Tigers spent their holiday deliberating over a 6-5 record — Memphis has won 20 of 23 games, with the three losses coming by a total of six points. “Being able to hold up that sign that says Conference USA champions in front of our fans — and the ovation we got — was special,” said Black, another native Memphian. In terms of wake-up calls, the Tigers’ two-point loss to UTEP on February 18th at FedExForum is working its way into the history books. Since that deflating upset, Memphis has won all six games it has played, and by margins that read like a lottery number: 23, 20, 29, 12, 18, 31. Coach Josh Pastner likes to emphasize after each blowout win that his team is merely “getting better.” With a second-straight Conference USA tournament championship now within reach, the Tigers are indeed accelerating their level of play at just the right time. Despite the lowest two-game output of the season by C-USA Player of the Year Will Barton (17 points), the Tigers won their quarterfinal and today’s semifinal by a combined 49 points, each victory coming over a team that beat them during the regular season. The U of M defense was again oppressive, holding UCF to 33-percent shooting for the game. All-conference forward Keith Clanton was limited to five points and one rebound. He was one of five Knights to pick up at least four personal fouls. On the offensive end, the Tigers had six players score between eight and 15 points, led by senior Wesley Witherspoon. While Will Barton was held to 10 points, he led the Tigers in rebounds (7) and assists (6). Black scored 13 and Joe Jackson added 10. Memphis hit 27 of 36 free throws, led by Witherspoon with eight of 10. The Tigers had a 10-point lead just nine minutes into the game and UCF was unable to close the margin to single-digits. Junior reserve D.J. Stephens twisted his ankle and was limited to a single minute on the floor, but Pastner said the injury wasn’t serious and Stephens should be ready for Saturday morning’s championship game against Marshall. Freshman Adonis Thomas played his second game in as many days after missing 15 with an ankle injury and scored five points in 12 minutes of action. Pastner pointed to his team's defense as again being the engine of a 31-point rout. "They're getting better with the concepts, fundamentally where they need to be on the court. Things sometimes you can't see with the naked eye. Defense is about energy and determination. And being at the spots you need to be." 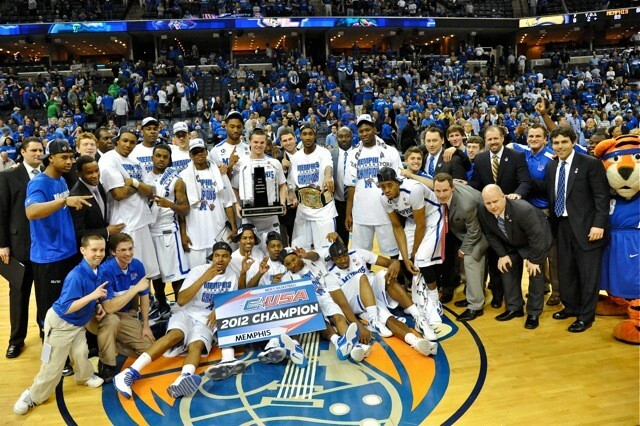 Memphis (25-8) will now seek a sixth C-USA tournament crown, and a fifth at FedExForum. To raise the trophy, they’ll need to beat a Marshall team that’s already been victimized during the Tigers’ late-season winning streak. The U of M may have secured a berth in the NCAA tournament, but for the Thundering Herd (21-12), Saturday’s game will likely be their only chance to gain entry to the Big Dance. Said Black in the postgame press conference, “We sat down in the locker room after the game and said ‘One more.’ That’s our mindset. Be prepared, be focused, be locked in.” In his coach’s words, get better. Tip-off Saturday will be at 10:35 a.m. The game will be televised live nationally on CBS. The first three minutes of tonight’s Conference USA quarterfinal were worrisome for those wearing blue at FedExForum. 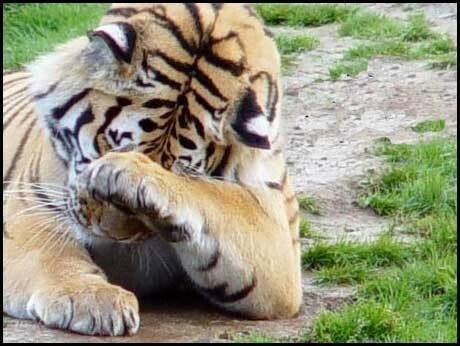 Not quite three weeks after the Tigers’ most dispiriting loss of the season, Memphis fell behind the very team that delivered that defeat — the UTEP Miners — 10-2. A team that won precisely one road game all winter (at Beale and Third) made its first four shots (including a pair of treys) to capture the attention of C-USA’s regular-season champion. But the next 37 minutes of play went just fine. Led by the sophomore trio of Tarik Black, Joe Jackson, and Chris Crawford — all native Memphians playing their first postseason game in their hometown — the Tigers charged back from the early deficit to take a 31-26 halftime lead. A 9-2 run to open the second half gave the Tigers a 12-point lead and the Miners wouldn’t draw closer than seven points the rest of the way. Black earned his second double-double in as many games against UTEP with 15 points and 13 rebounds. Jackson scored a game-high 17 points — two of them on a breakaway reverse dunk in the first half — and picked up five steals. Crawford added 11 points and dished out seven assists. The Tigers locked down defensively in the second half, holding the Miners to 26-percent shooting (34 percent for the game), appreciably lower than the 44 percent allowed in the UTEP victory last month. The Tigers had 15 steals and seven blocked shots (three of them by Black). UTEP only hit two of 12 three-point attempts. Now 24-8, the Tigers will play the winner of tonight’s UCF-UAB game in a semifinal Friday at 5:30. 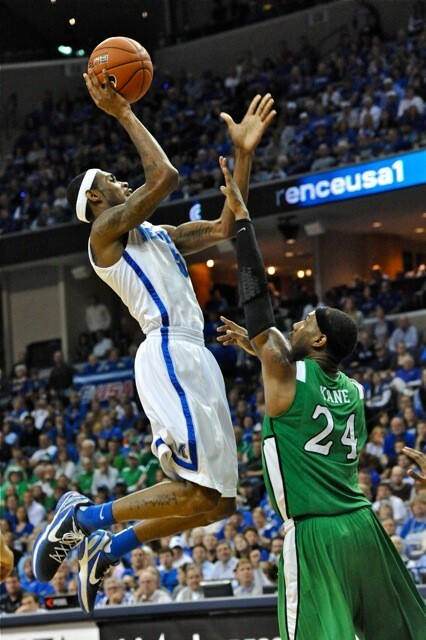 Memphis guard Will Barton was named the 2012 Conference USA Player of the Year today. The sophomore from Baltimore becomes the fourth Tiger player to earn the honor, following Antonio Burks (2004), Rodney Carney (2006), and Chris Douglas-Roberts (2008). Barton won the C-USA scoring title, averaging 18.7 points per game (more than two points better than the runner-up, Tulsa’s Jordan Clarkson). He finished sixth in C-USA with 8.1 rebounds per game and is the first player to lead Memphis in both scoring and rebounding since Sean Banks in 2003-04. Barton has ten double-doubles this season (10 points and 10 rebounds), the most by a Tiger since Chris Massie had 16 in 2002-03. He also finished among C-USA leaders in field-goal percentage (52.5 percent) and steals (1.5). 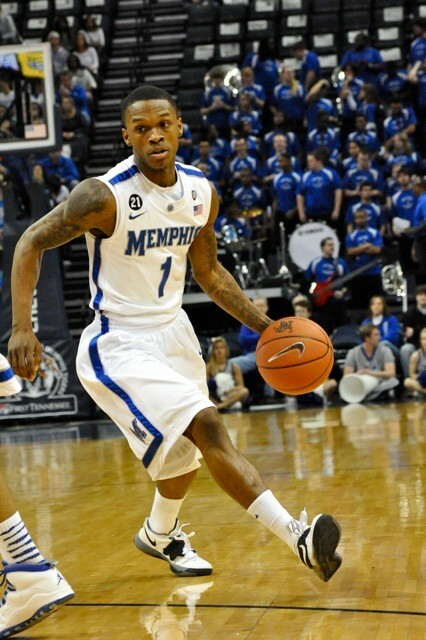 Barton became only the ninth Memphis player to score 1,000 points in his first two seasons. Here are the Tigers who earned league Player of the Year honors before Conference USA was formed in 1995. 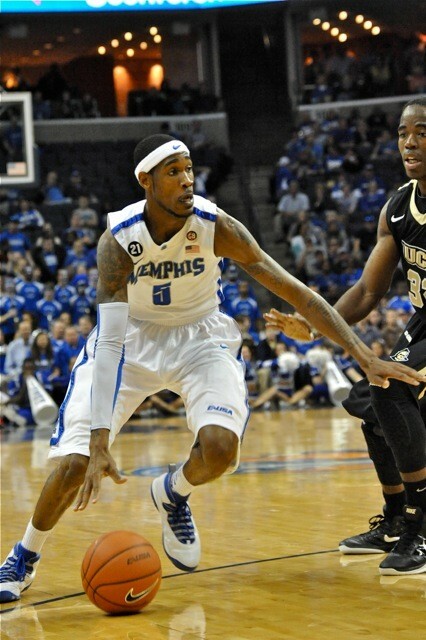 Memphis sophomore guard Will Barton, to no one's surprise, was named first-team all-conference by Conference USA this morning. Barton is C-USA's scoring champion with an average of 18.7 points per game. He also leads the Tigers with 8.1 rebounds per game. Barton was a third-team selection as a freshman after the 2010-11 season. Sophomore center Tarik Black was named to the second team. Black leads C-USA in field-goal percentage (68.2 percent) while averaging 10.7 points and 4.8 rebounds. The graduate of Ridgeway High School leads the Tigers with 47 blocked shots. Another Memphis native, sophomore guard Chris Crawford, was named to the third team. 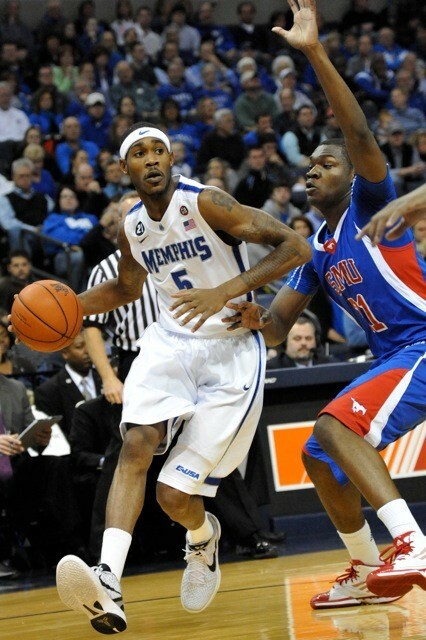 The Sheffield High alum is among C-USA's steals leaders with 57 and leads Memphis with 117 assists. He's averaged 9.3 points and paces the Tigers with 47 three-point field goals. This marks the fifth time at least three Tigers have earned all-conference accolades in the same season (also in 2006, 2007, 2008, and 2009). The 2008 team had four. Today in Tulsa, The Memphis Tigers completed what amounts to a four-game message to the rest of Conference USA: Come get the championship. Four days before the start of the C-USA tournament at FedExForum, the Tigers clinched the league's regular-season title outright with their fourth consecutive blowout victory. After falling to UTEP at home on February 18th, coach Josh Pastner ripped the players' names off their jerseys and sparked the most dominant two-week stretch of his team's season to date. Since the Miner upset, Memphis has beaten East Carolina by 23, Marshall by 20, UCF by 29 and now Tulsa by 12 in a game that wasn't as close as the final score. With the win, the Tigers finish the regular season with a record of 23-8 (13-3 in C-USA). Sophomore guard Will Barton all but clinched the league's Player of the Year trophy. 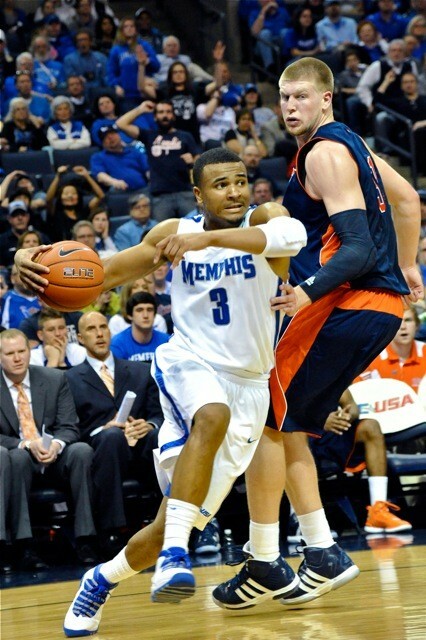 Barton became the first Tiger to score 30 points since Elliot Williams more than two years ago (January 16, 2010). He became the 47th Memphis player to surpass 1,000 points for his career, and only the ninth to do so in his first two seasons. (The previous eight: Win Wilfong, Larry Finch, Keith Lee, Elliot Perry, Anfernee Hardaway, Lorenzen Wright, Omar Sneed, and Darius Washington.) 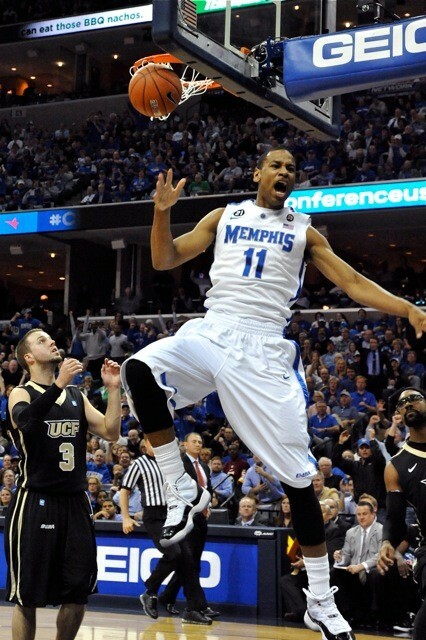 Barton is also the first Tiger to win the C-USA scoring title (18.7 points per game). Barton hit 12 of 17 shots, grabbed nine rebounds, dished out four assists, and picked up three steals. The regular-season title is the U of M's first since 2009 (and first under Pastner). As the top seed in the C-USA tourney, the Tigers will take the floor for a quarterfinal game at 6:30 next Thursday night. With a win, they'd play in the earlier of two semifinal games Friday night.